In 2001 my aunt, Abby Levine made this drawing for me. 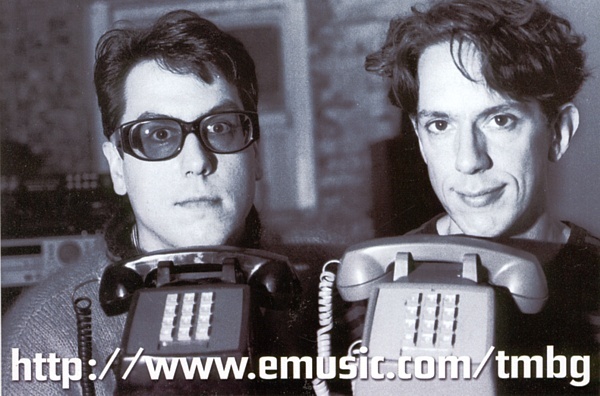 She based it on the black and white emusic.com sticker with John & John and two old-skool telephones. She created the surrounding imagery after listening to Lincoln and Flood. Flansburgh's autograph on there is what would eventually become my first tattoo. Click here if you would like a better look at the detail. Performed at the Bowery Ballroom in New York City on 10/23/99. It is, of course the slow version which features Dan Miller on the keyboard. I don't think I'm alone in preferring this version to the sped up one on Mink Car. I think that the original tempo lends a certain disposition to the song, like the narrator is plodding along, wanting to be extra careful that everything comes out right. Welcome to my They Might Be Giants Fan Blog. 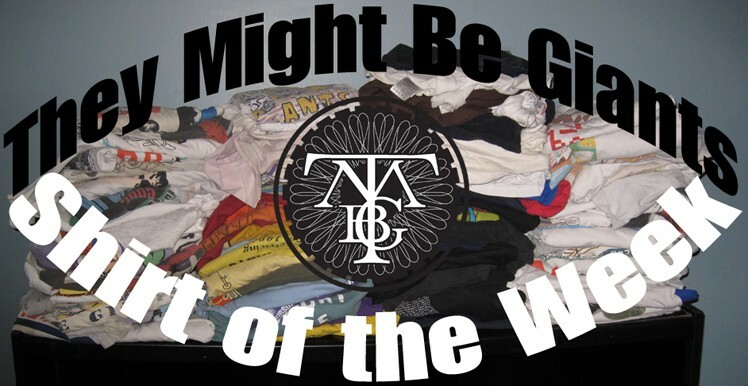 I'm not entirely sure what this blog is going to be yet, other then an outlet for giving away free TMBG stuff. I might tell a story or two, or maybe even run a TMBG contest with a physical prize that I will snail-mail to the winner. Any interest? Please comment. My first offering is from my defunct theymightbegiants.org MP3 archive, and I'm taking requests. TMBG perform Spin-the-Dial at Bogart's in Cincinnati, OH on 5/17/96. They happen upon Warren Zevon's "Werewolves of London", and after checking the rest of the dial They decide to give it a shot. However, it seems that the lyrics are not exactly known as John Flansburgh launches into an improvised version about "Friday the 13th"? ?